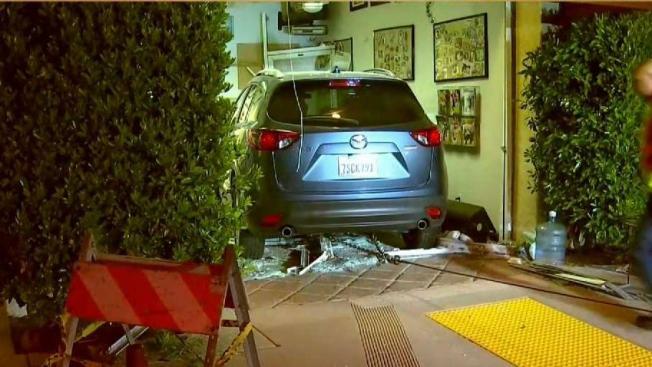 A car crashed into a University City veterinary clinic Friday night, according to the San Diego Police Department. The incident occurred at Cote Animal Hospital on Towne Center Drive at 9:30 p.m. The car could be seen fully inside the building, according to footage of the scene. Shattered glass, books, chairs, and photos of animals were strewn across the floor. Crews slowly pulled the blue SUV from the wreckage before 11 p.m.